I had always played cards games from a young age. I discovered bridge while I was at home being a fulltime mother. With some time to spare in the evenings I attended lessons. I did finally join a club but after a few years I went back to work fulltime and could not manage time for bridge. I retired some time ago and recommenced playing bridge. I trained as a primary school teacher. I aspired to teach bridge sometime. I had a small window at a local school for a few weeks introducing 11 and 12 year olds to bridge. It was a lot of fun. We did minibridge and it was just delightful to see them catching on so quickly and enjoying it. Unfortunately, circumstances made it too difficult to follow up, much to my disappointment. The next real opportunity came up when the ABF and Joan Butts combined to introduce a teaching program. 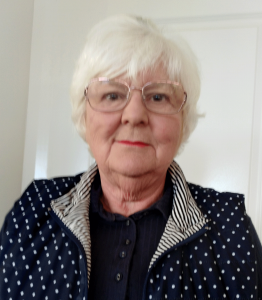 I was fortunate to be around when Joan came to Orange, more than once, and in Canberra and the Northern Beaches where Joan taught other modules. I completed my accreditation by giving some intermediate lessons to anyone in my club who was interested. I was pleasantly surprised by the number who attended and the positive feedback I received. I really enjoy teaching and I sincerely hope I can inspire and help players to further their skills. I have my eye on my grandchildren as bridge pupils but as I do not live near them, it will not be an easy task.